Here’s a tip that came to mind when I was treating a patient recently. She had had an implant 17 years ago, but it had suffered a broken crown. The implant itself was still well up the job, as her gum excellent gum hygiene had preserved her bone. So it should have been easy to prepare a replacement crown and fit it with a minimum of chair time. Unfortunately, the dentist who performed the original restoration had retired, and she had no record of the brand and name of implant. There are hundreds of implants in use in Australia, and until we knew precisely which one was in use we couldn’t prepare a replacement for the broken crown. 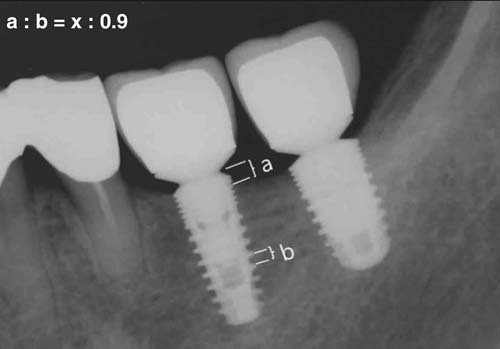 This resulted in extra visits, extra chair time and a lot of unnecessary anxiety, in order to identify the implant. So here’s a top tip that may save you money, and will help your dentist preserve your implant restoration – always keep a record of the technical details of your implants – tooth number, brand and name and diameter of the implant.